whatlock® provides a simple and effective answer to solving many potentially dangerous situations. There are several websites that provide information on home safety and how to prevent dangerous situations happening. 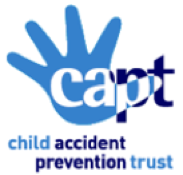 We include two examples from The Royal Society for the Prevention of Accidents and the Child Accident Prevention Trust. These illustrate the numbers of accidents that take place and the importance of keeping items such as cleaning materials and medicines safe and secure – something that whatlock® can help with. ‘More than 27,000 0-5 year olds visited hospital accident and emergency departments with suspected poisoning in 2002, a figure that illustrates the seriousness of this issue. (Source: HASS/LASS database). To help prevent poisoning accidents it is vital that all medicines, including vitamin pills and painkillers, are stored in a safe place away from children. Storage should have child-resistant closures in order to protect children further. Be aware that child-resistant is different from child-proof and that some children can learn to open tops all too easily. Keep medicines in their original containers in order to help identify them as dangerous substances. products in the fridge as it can confuse children into thinking that it is ok to eat them’. Suspected poisoning is one of the most common reasons for young children to be taken to A&E. Every day, 15 young children are admitted into hospital because it’s thought they’ve swallowed something poisonous. Child-resistant tops and strip and blister packs for tablets help to slow children down but they are not childproof. Some 3-4 year olds can open them in seconds! Swallowing medicines, like everyday painkillers that you might keep in your handbag or bedside cabinet, is the most common way for children to be poisoned. The detergent capsules and concentrated liquids under the kitchen sink can harm children too – they can cause accidental poisoning but also squirt into the eyes and cause damage. The capsules come in boxes that aren’t child-resistant. Keeping your medicines and cleaning things locked up or out of reach and sight is the safest way to protect your toddler. Ideally put them in a high lockable cupboard. It’s best to keep them in a room which people use a lot. That means if your child has climbed up on a chair or worktop and is exploring in cupboards they are more likely to be seen by an adult or brother or sister. whatlock® can be used wherever there are cupboards, cabinets and drawers. In kitchens, utility rooms, bathrooms, bedrooms, studies & lounges. In outdoor buildings, garages, sheds, offices, motorhomes, caravans & boats. whatlock® is flexible & will operate through wood, glass, ceramic tiles, laminates and non-ferrous materials up to 25mm (1 inch) thick.